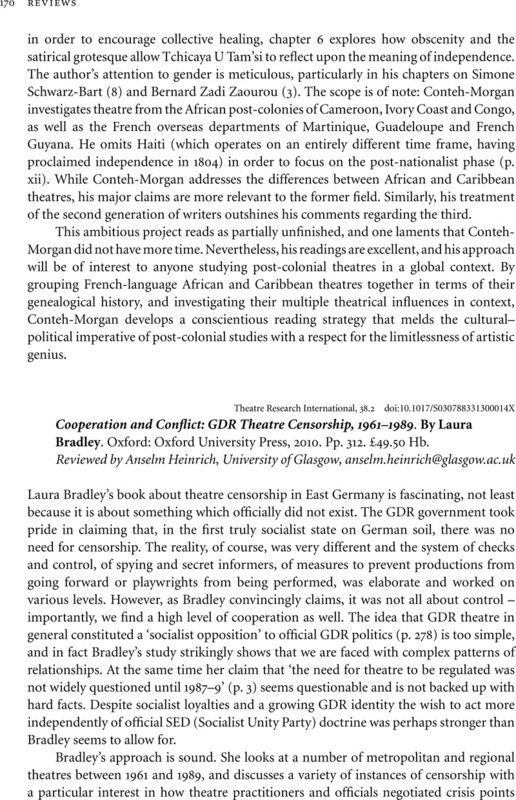 Cooperation and Conflict: GDR Theatre Censorship, 1961–1989. By Laura Bradley. Oxford: Oxford University Press, 2010. Pp. 312. £49.50 Hb.